Here you can browse through the commercially-released video recordings that Evelyn has made. All entries contain artist and content details along with release dates, label and the label’s catalogue number. This videography is intended for reference only. We do not guarantee that all items are still commercially available. Those available for sale through the Evelyn Glennie Shop are provided with appropriate links. Evelyn’s discography is listed separately. 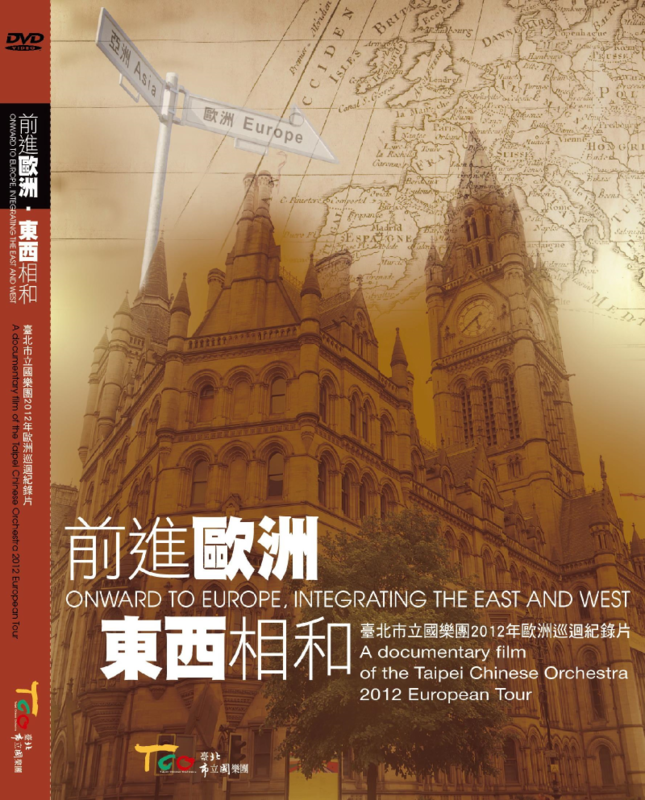 This award-winning performance of Bartók’s celebrated work was recorded at the beginning of Evelyn’s career. 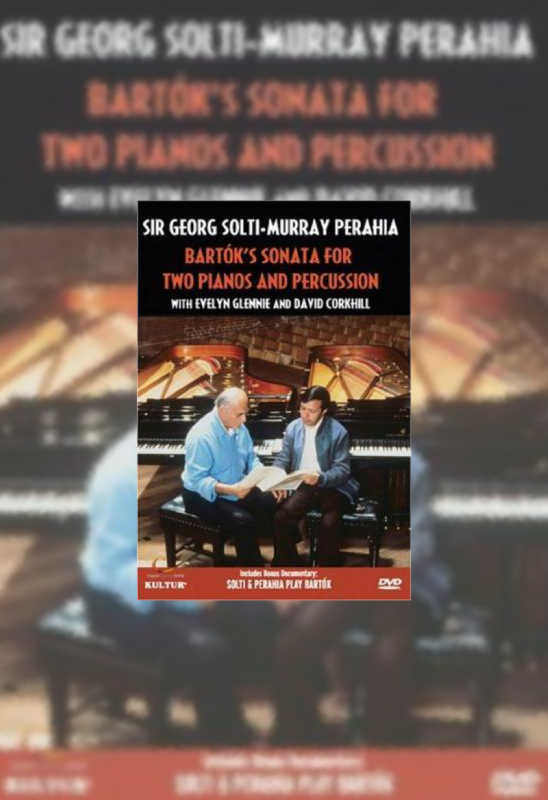 See the masters at work: two titans of the piano world and the percussion wunderkind in all her youthful exuberance. A breathtaking showcase of Evelyn’s on-stage talent recorded live at the Grand Théâtre de la Ville de Luxembourg in 2004. 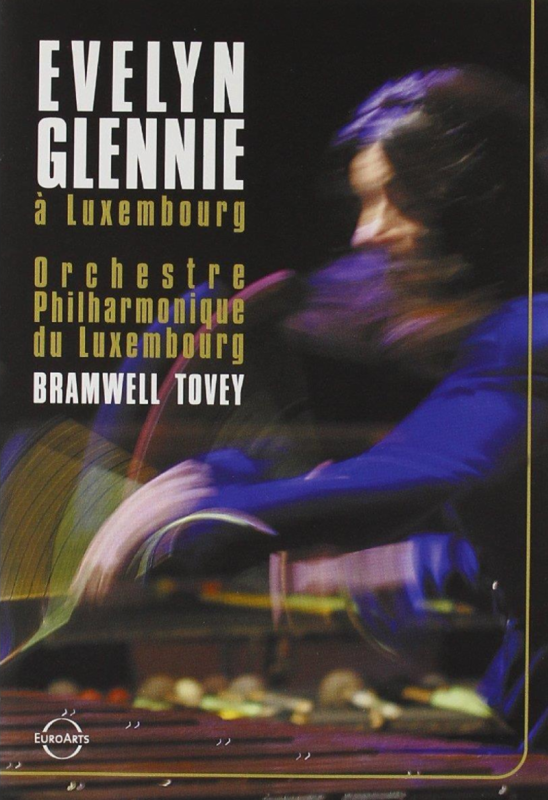 Featuring exquisitely sensitive playing from the Orchestre Philharmonique du Luxembourg under the baton of Brawell Tovey, this is a performance not to be missed. 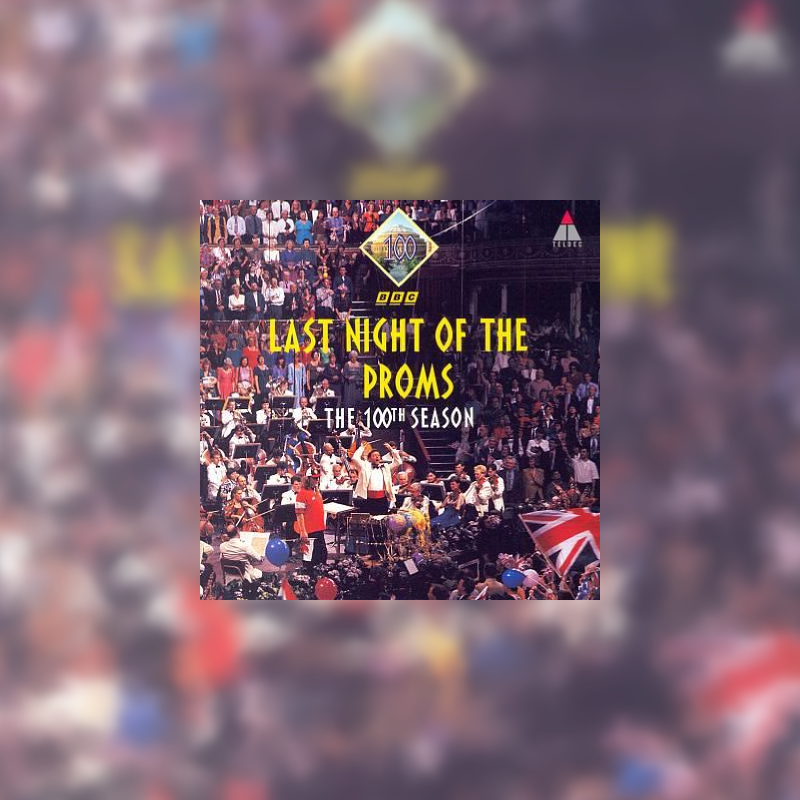 In 1994 Britain celebrated the hundredth season of the best-loved of all its musical institutions, ‘The Proms’. The hundredth season’s concluding the concert – ‘The Last Night of the Proms’ – was conceived as a tribute to Proms founder Sir Henry Wood. The programme included Wood’s own arrangement of Bach’s famed Toccata and fugue in D Minor as well as perennial Proms favourite, his Fantasia on British Sea Songs. Wood was a great champion of new music and novelties, which led to the inclusion of Miki’s Marimba Spiritual, performed by Evelyn Glennie who gave the first ever performance of a percussion concerto at The Proms. This visual tribute to one of the most remarkable percussionists of our day, the prodigiously gifted Evelyn Glennie, gives us a rewarding insight into both the personal and professional appeal of this young artist. Her tastes in music have shown themselves to be as cosmopolitan as can be, for she gleans inspiration from all corners of the world; her admitted ambition is to be the David Attenborough of percussion, and her trip to Rio to explore the musical possibilities of the samba has much whetted her appetite in this respect. 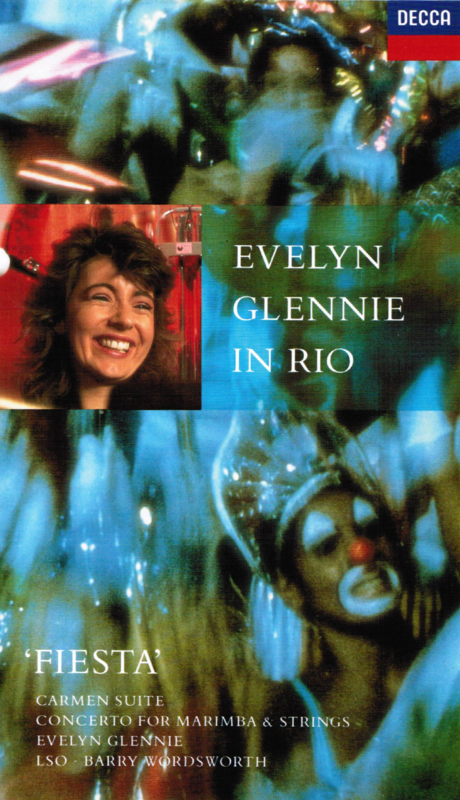 The documentary film of her visit to the world-famous South American carnival opens this introduction to Evelyn Glennie; she is shown at work (and at ease) with local musicians, taking part in the carnival procession itself, and bringing away with her an excitement about a liberating approach to music so much in tune with her own.